Design Notes: A classic holiday dress with empire waist, capped sleeves and full swing skirt. Comes with a separate soft white pinafore that ties in the back. 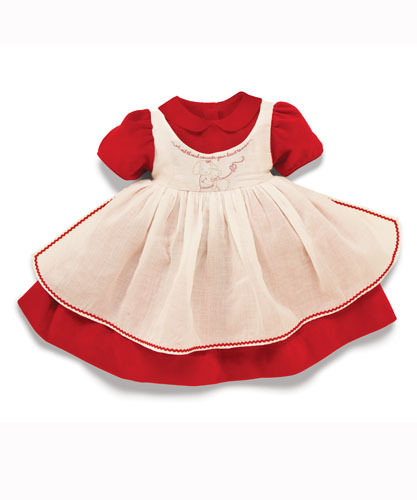 Sweet bunny and bear embroidery on the bodice and a touch of rickrack trims the pinafore. Wash dress and pinafore separately. Machine wash cold & tumble dry low heat. Size 6-12. 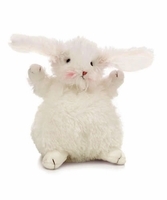 Design Notes: This chubby little bunny is rounder than he is tall. Makes the perfect friend for all ages. Bunnies by the Bay -Buddy Blankets are baby�s perfect security blanket! 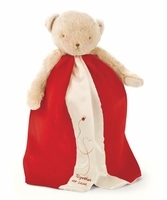 Plush bear with soft velour blanket and silky satin. Embroidered message says, �Together at last, best friends indeed.� Blanket is open in the back for easier snuggling. Machine wash cold & line dry.